Thickly slice the washed strawberries and pat dry. 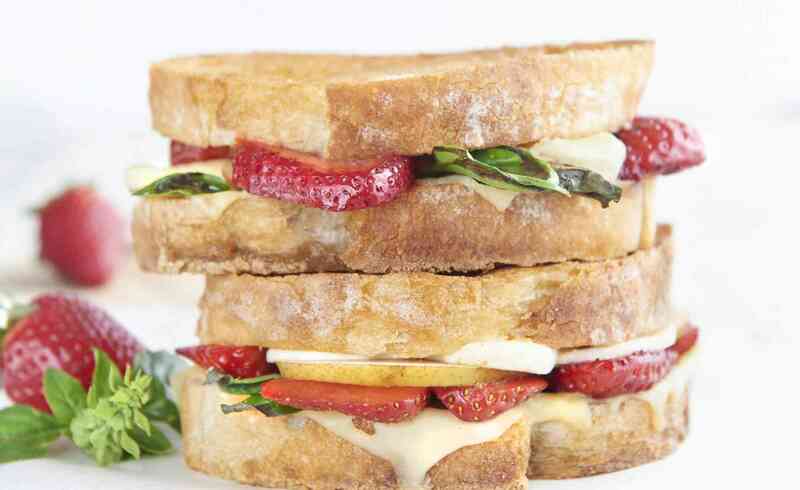 Place 2 of the bread slices on a board and top each with bocconcini, sliced strawberries, pear, basil leaves and finally Swiss style cheese. Top with the second bread layer. Preheat a large pan and add butter. Panfry each toastie for 4 minutes on one side, then gently flip and panfry the other side until golden brown and the cheese is gooey. Serve with fresh rocket tossed in balsamic vinegar.